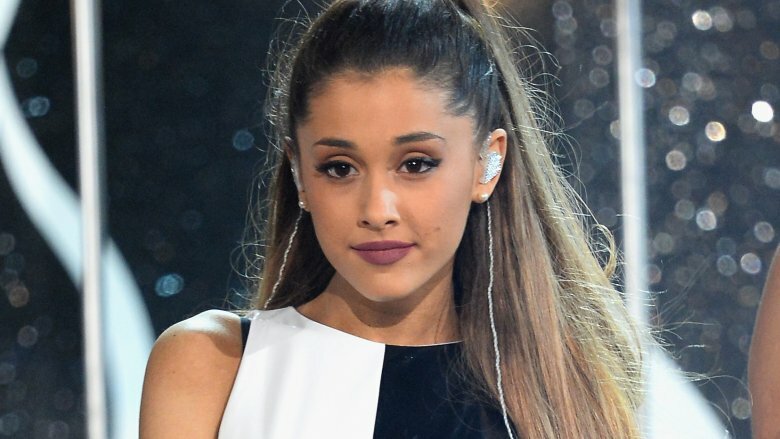 Who is Ariana Grande's brother? 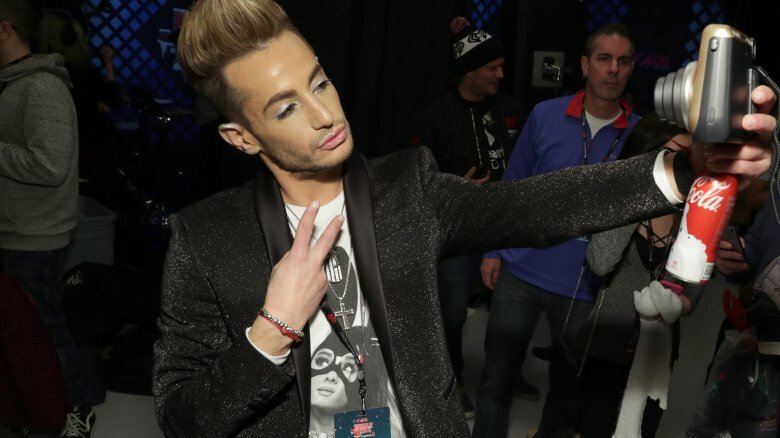 Frankie J. Grande has a familiar name and an even more familiar face, and once you know who his family is, you'll be shocked you didn't catch the resemblance earlier. 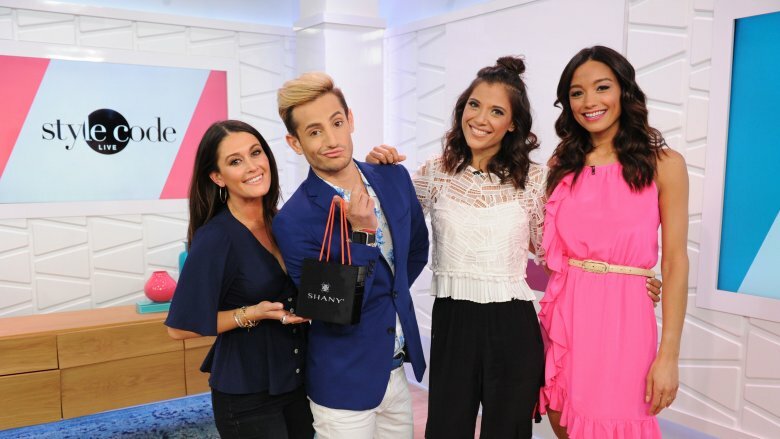 Frankie, the big brother of actress-turned-pop star Ariana Grande, is like the living version of a Fourth of July sparkler, bringing joy everywhere he goes, whether that be a quick jaunt to Disneyland for a video on his YouTube page or hosting his own shows on TV and online. He's also a social media maven, with an Instagram follower count north of a million. A man of many talents, Frankie sees himself above all as an entertainer, and he's certainly got the personality for it. His intro video for his appearance on the UK's Celebrity Big Brother is as close to being a mission statement from the man as you can get. "If there's a camera that millions are gonna watch… you got me," he said. "I'm ready. Let's go. Suit up." If you couldn't tell just from the sheer… aura of him, Frankie is a theater kid for life. And he's no wannabe—the elder Grande sibling has had a robust career both on stage and behind the scenes since Mamma Mia! in 2001. Though he was a player in the production Rock of Ages, most of his work has gone into producing the shows. Along with production partner Philip Morgaman, he's produced shows such as La Bête and the 2009 Jude Law-starring production of Hamlet. While he's taken a step back from Broadway for the time being, Grande says he's keen for a return if he can land a dream role, such as Frankie Valli (of the Jersey Boys), Hedwig (of Angry Inch fame), or maybe a popular variant of Shakespeare's King George. Though the younger Ariana is the sibling most known for her gifted pipes, Frankie is as much an artist in his own right. One of his most recent songs, released May 2017, is "Queen," an uplifting rock-styled track about loving yourself and being, well, a queen. 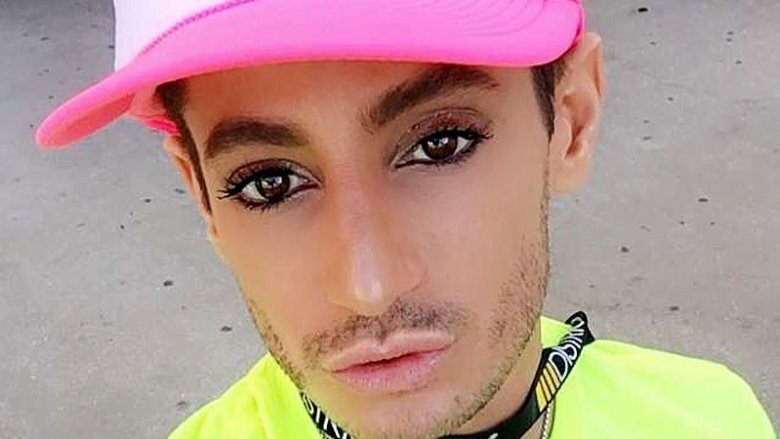 It's perfect material that speaks to many of his peers and fans in the drag community, but this sort of earnestness isn't the only thing that Frankie is about. He's also released a number of lighthearted original comedy songs on YouTube, like the Grindr-inspired pop song "Left Swipe Dat" and "I Beliebe," a take on the Book of Mormon number of (almost) the same name. He even teams up for duets with fellow artists like Todrick Hall. He's clearly going for a certain kind of demo—young, gay, and fabulous—but he's not so image-obsessed that he would be afraid to drop a truly rather terrible cover of one of his sister's songs on YouTube, all for a laugh. In addition to the usual self-promotion meets life-chronicling that goes on with social media like Twitter and Instagram, Frankie is a surprisingly robust blogger. Posting sporadically throughout the beginning of 2017, his posts share his thoughts in a manner more longform than usual. It's sort of a throwback to more innocent days, when social media was more of a loose-linked network of online diaries than a modern day panopticon of conspicuous consumption, duckface and food shots. He writes love letters to makeup; he writes love letters to his sister. The whole website is abundant with love and positivity, so much so that odds are if you give Frankie five minutes of your time, he'll charm you for life. Of course, in today's busy, get-to-getting world, you can't expect to be behind a keyboard every time you want to share some thoughts or make an observation. Sometimes, you just want to chronicle a sweet vacation while it happens, like Frankie's done when visiting Disneyland with his sister Ariana, only barely incognito. His family bona fides give him the kind of access that leads to super-fun videos at the sidelines of concerts, rooting on his sister as she opens for the Biebs. But there's also videos of him among friends, twerking like a dork. He's a charming, infectiously fun host, who leads a life that takes him all around the world, making it fun to wonder at any given moment: what's Frankie doing? Singing karaoke in Japan? Probably. Ice skating, aggressively? Yeah, he's doing that. He's doing that like you wish you could. If you've watched Frankie's videos on YouTube, you've probably noticed that charisma like his simply cannot be contained within the meager contours of an iPhone screen. At least a few TV producers feel exactly the same way. Appearing on the sixteenth season of CBS' perennial voyeurism extravaganza Big Brother, Frankie made a huge impression—and it didn't go down exactly as he would've liked. In a stunning turn, Frankie became among the least-liked contestants of his season, starting with an ill-advised "big reveal" of what super-famous singer he's related to. It was a massive miscalculation, a rookie move that drove a wedge between him and the rest of the housemates. His reputation took a further hit during one major blowout fight (caught, naturally, on camera) that left the floundering contestant facing accusations of betrayal. What can we say? That's reality TV for you—and none of this drama stopped Frankie from jumping right back into an overseas edition of the show, Celebrity Big Brother UK. As much as his social media output may be all about "me, me, me" (and again, whose isn't? ), Frankie isn't out here working solely for himself. 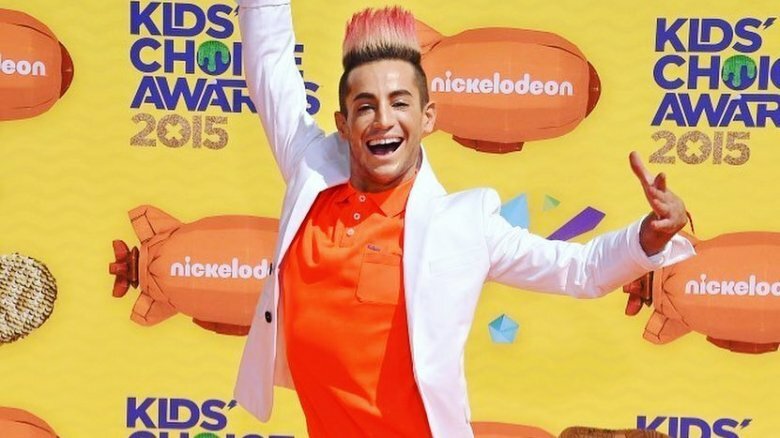 With a heart as big as his smile, Frankie is also a philanthropist who's helped secure funding to build a school in Africa, and in May 2017, used his ample influence to promote a charitable donation drive with a goal toward reaching two million pounds in response to a devastating bomb attack that targeted his sister Ariana's concert, killing many and wounding more. With all his different projects and responsibilities, it'd be easy to understand if he spent all his time focusing on his own career. Instead, he's the kind of person who will use what he has to help how he can. Being a contestant on a reality show robs you of a whole lot of control, and while it might lead you into a fun lifestyle, the act of working on the show getting judged by all of America has got to be a drag. Not the case if you can score a hosting gig or two, like Frankie has. In addition to serving as a judge on a revival of the high-flying street-style America's Next Best Dance Crew on MTV in 2015, he's also a co-host of ever-expanding Amazon's first live show, the ongoing series Style Code Live. Dissecting fashion as it happens alongside fellow host Rachel Smith, archived clips and episodes of the show are available on Amazon's very own site. When you're sizing up relationships between celebrity siblings, the analysis is always dicey. Do they like each other? Are they enemies? Is this a Baldwin brothers situation? Happily, and against all odds, we can report that there is nothing but love between the siblings Grande. This all started about 23 years ago when Ariana was born, becoming Frankie's half-sister by their mother's side. Despite the age gap (Frankie is 34), they are close as family can be, sharing Christmases and even sharing homes with each other, and never being too far from each others' side. Though raised Catholic in Florida together, they have matching Kabbalah tattoos, inked in about a year after Ariana ditched the Catholic faith over the church's views on her brother's sexuality. Which is not just a convenient story; the smaller Grande is a fierce protector of her brother against bigots and homophobic haters, as she has proved time and time again. It is, we can say with no irony, a beautiful relationship. "We are yin and yang," said Frankie, in a 2014 profile in the New York Times. "Ariana's the businesswoman, and I'm the clown. We admire each other and draw on each other." In a talk with Attitude magazine (via Harper's Bazaar), he got to the heart of it: "She's my best friend," he said. "And probably the person who makes me proudest on this planet."